Dropping temperatures and shorter days are exactly what aren’t needed prior to holiday season. With Thanksgiving and Halloween swallowing up October, many people use the festivity-free November to prepare for winter holidays. Or consider it, at least. For those who swear to themselves they won’t swim through the human sea that sweeps into every mall a week before Christmas, trying to find last-minute gifts for 90 per cent of their recipient lists – it’s time to get the ball rolling. Matt Nusselder, a first-year nursing student, said, “I always do it early, as early as possible.” He added that over the past few years he has finished his shopping by the first week of December. Where to roll that ball though? The unlikely stop, St. Jacobs Farmer’s Market, offers a variety that can satisfy just about any taste around. 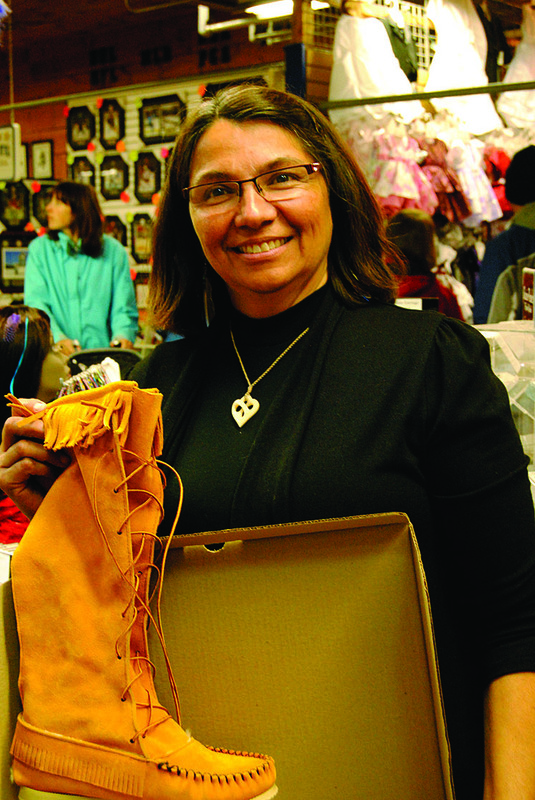 “I’ve never done any Christmas shopping at St. Jacobs, I never thought to,” said Nusselder. Open on Thursdays and Saturdays year-round, the marketplace is filled with stores selling everything from grocery items to one-of-a-kind gifts. It’s a place that takes a while to shop, however. Being a popular destination that grows in popularity as gift-giving season approaches, extra time is needed to get from place to place and to learn along the way. Welch’s store was relatively quiet, with most of the people being in the food market. Vendors there sell homemade foods such as breads, pies, pasta and candy as well as rarities from across the globe, such as Egyptian cuisine. St. Jacobs’ Tea Company, right on the edge of the busiest part of the food market, is gearing up for winter as well. “It just got so busy,” store manager Deb Koebel said, pointing at shelves that were empty. With the cold, rainy weather the store has been busier than ever. “I’ve had people asking about Christmas stuff,” Koebel added. With tea’s popularity growing, baskets of the beverage are an easy gift idea. So whether you are in need of something big or small, fancy or inexpensive, head to St. Jacobs – you are sure to find what you are looking for.